-Read the excerpt below from Kyle Drennen's Media Research Center's post. On Monday, the three network morning shows allocated 12 minutes 24 seconds to Saturday night’s White House Correspondents’ Dinner but only CBS This Morning reported House Speaker John Boehner on Friday announcing a new investigation into Benghazi – a news brief that totaled 47 seconds. CBS This Morning co-host Charlie Rose noted: “Both parties on Capitol Hill are sniping over new a investigation of the deadly Benghazi attack.” After a soundbite of Republican Senator Lindsey Graham discussing the scandal on Sunday’s Face the Nation, Rose added: “House Speaker John Boehner is calling for a new investigation based on a White House memo released last week. Republicans say the document proves the Obama administration tried to spin the attacks for political gain.” NBC’s Today and ABC’s Good Morning America completely ignored the story on Monday. 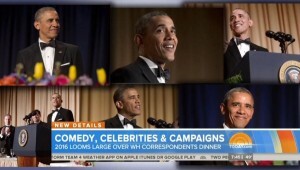 The three morning shows devoted far more time to President Obama’s stand-up comedy at the annual Correspondents’ Dinner. CHARLIE ROSE: Both parties on Capitol Hill are sniping over new a investigation of the deadly Benghazi attack. One Democrat on the House Intelligence Committee, Congressman Adam Schiff, says appointing a special committee will be, quote, “A colossal waste of time.” Republican Senator Lindsey Graham told Face the Nation Sunday that the families of the four Americans killed deserve to know the truth. 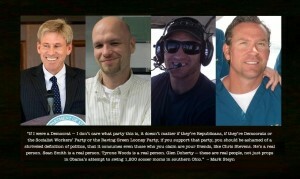 SEN. LINDSEY GRAHAM [R-SC]: So if we’re playing politics with Benghazi, then we’ll get burned. If our Democratic friends are shielding the administration and trying to protect them and if the administration tried to protect themselves, their reelection, because they couldn’t stand the truth about Benghazi, then they’ll get burned. ROSE: House Speaker John Boehner is calling for a new investigation based on a White House memo released last week. Republicans say the document proves the Obama administration tried to spin the attacks for political gain. 1. What type of bias do NBC and ABC display by not covering Congress’ new investigation into Benghazi? 2. a) How much did you read or hear about President Obama’s jokes from the annual Correspondents dinner? How much did you read or hear about the reason for Congress’ new investigation into the attacks that killed 4 Americans in Benghazi on September 11, 2012? b) Ask a parent the same questions. 3. Consider the following: The media’s job is to investigate issues that affect the nation nationally and locally and to inform the public about what’s going on. It is not just our “right” to know what government officials are doing – it is our responsibility to know. Part of being a responsible citizen is to stay informed about what’s going on in the government and holding our elected officials accountable for their actions (and inaction). Is the media doing its job by spending an extraordinarily large amount of time on one human interest news story (the President’s jokes at a dinner) while ignoring the real news voters have the right to know about? Or is the regular news so hard to hear sometimes (annoying, depressing, boring) that its better to be entertained with a few good jokes? Explain your answer.